in CAD to GBP, GBP to CAD. Disappointment greeted news that the headline UK consumer price index had fallen to a one-year low of 2.5% in March, leaving the Pound to Canadian Dollar (GBP/CAD) exchange rate on a fresh downtrend. As forecasts had pointed towards a steady reading of 2.7% this prompted investors to pile out of the Pound (GBP) once again on Wednesday morning. This weaker showing, while positive for consumers, undermines the case for the Bank of England (BoE) to raise interest rates at its May policy meeting. With inflation showing solid progress back towards the BoE’s 2% target policymakers are likely to see less incentive to tighten monetary policy further. Even after the 0.1% uptick in real wage growth seen in the latest UK average weekly earnings figure support for Pound exchange rates was generally limited. 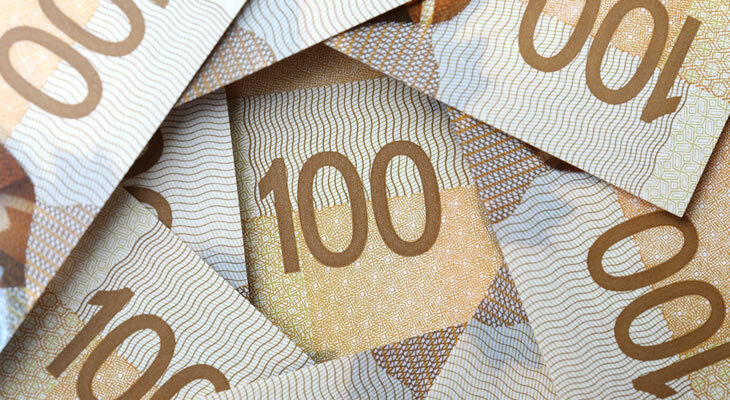 The Pound to Canadian Dollar (GBP/CAD) exchange rate could come under additional pressure on the back of the Bank of Canada’s (BOC) April policy meeting. If policymakers adopt a more upbeat tone the appeal of the Canadian Dollar (CAD) is likely to improve significantly, given the relative strength of recent domestic data. With Brent crude continuing to trade comfortably above the $US70 per barrel mark the downside potential of CAD exchange rates looks rather limited at this stage. However, a dovish BOC message may offer the GBP/CAD exchange rate a fresh rallying point on Wednesday afternoon. ‘We expect the statement to be similar to March and to repeat that the BoC will be cautious in future policy adjustments, with higher rates warranted over time, while some level of continued accommodation is likely to be needed. If the BOC looks set to remain on hold for longer demand for the Canadian Dollar could well diminish. An uptick in March’s UK retail sales data could offer the Pound to Canadian Dollar (GBP/CAD) exchange rate a rallying point, however. Signs of stronger consumer spending should help to bolster some degree of confidence in the domestic economy, which has been largely supported by higher spending over the course of the last year. With forecasts pointing towards a 1.9% boost in sales on the year this could help GBP exchange rates recover some strength ahead of the weekend. Even so, if there is any indication of softening consumer sentiment this is likely to weigh heavily on the minds of investors. Focus will also fall on the latest commentary from members of the BoE Monetary Policy Committee (MPC), with markets hoping to gauge the odds of an imminent rate hike. Unless policymakers maintain an optimistic outlook the Pound to Canadian Dollar (GBP/CAD) exchange rate looks set to remain on a weaker footing. Previous ArticlePound Euro (GBP/EUR) Exchange Rate Forecast: Will Drop in Inflation Alter BoE Rate Plans?